"Peace" is found in different languages throughout the Peace Monument. The Peace Vigil is on hiatus for the remainder of the Fall 2018 semester. 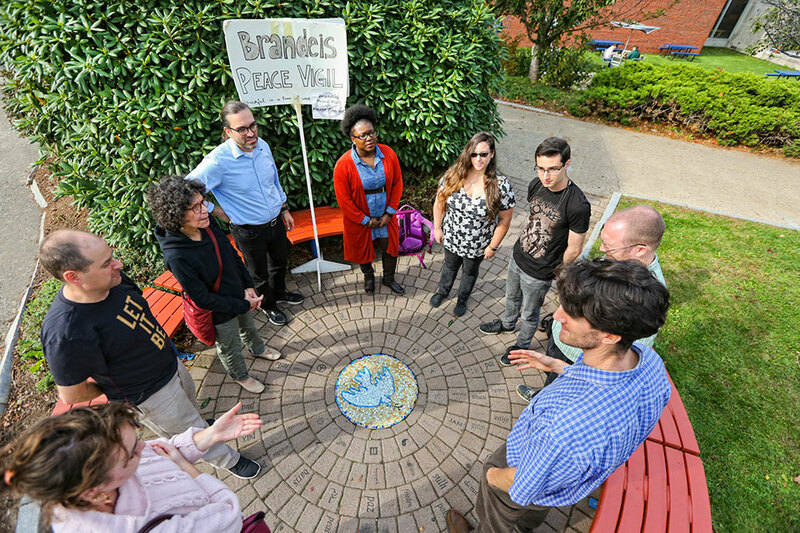 Join us for the Peace Vigil outside Usdan at the Peace Circle every Friday from 12:20-12:40 p.m.